This download accompanies our Excel 2016 and 2019 cheat sheet. 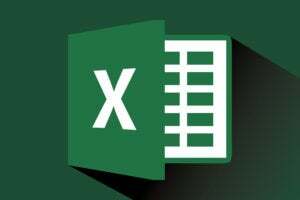 See that article for detailed information on how to get the most out of Excel 2016 and Excel 2019 for Windows. For the most part, the Ribbon interface in Excel 2016 and 2019 is intuitive to use. It's divided into a series of tabs that group related commands together. Since it's always present at the top of your screen, the Ribbon puts a wealth of commands in easy reach at all times. For instance, if you want to insert a line chart in your spreadsheet, you'd go to the Insert tab and click the line chart icon in the Charts group, or press Alt-N and then Q. To freeze a portion of the sheet so it’s always visible while you scroll through the rest, you'd go to the View tab, find the Window group and select Freeze Panes, or press Alt-W and then F.